I absolutely love to exercise and be active. I do not feel as good when I am not which gives me motivation to stay active daily. I do not do any crazy marathon running or anything like that but, I keep it simple with fun things that my family and I enjoy doing. In the winter, exercise is often confined to my treadmill which is boring but it works. During the summer months, there are so many more options to stay active. 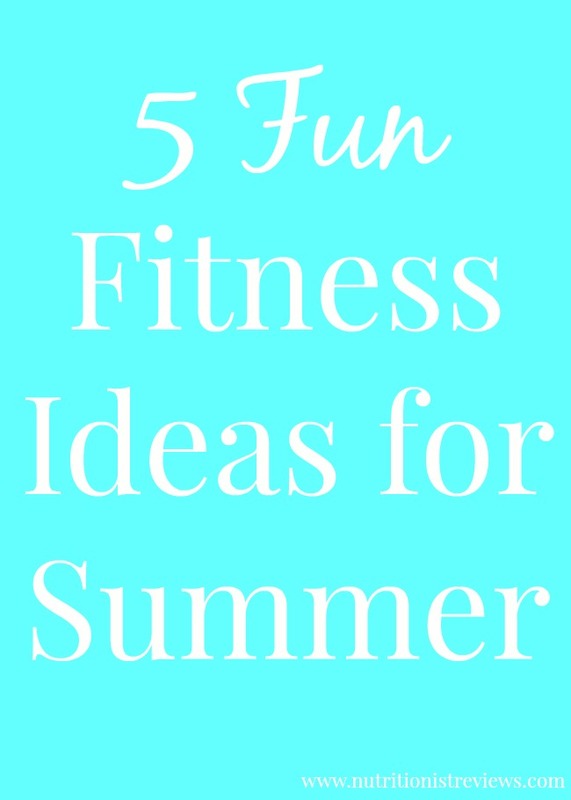 These are my family and I's favorite ways to stay active this summer. Hiking Sleeping Bear Dunes this June! We have three mini-vacations planned this summer along with some trips to my parent's farm. Many people go crazy on vacation and eat and drink a bunch while being inactive. We do like to indulge on vacation with some ice cream or a fun meal out but love to stay active as well. When going on vacation, I make sure to pack running shoes and workout clothes. I check that a hotel has a gym or if the weather is nice and the area is safe, I exercise outside early in the morning before the rest of my family is awake. We plan sites to see that we can be active around such as walking on the beach, hiking through trails and walking from site to site. Also, when we go on vacation, to keep us on track with our healthy lifestyle, we pack snacks that are filling and nutritious. We have been enjoying the new Pure Protein Plus Bars from Walmart. They come in Cookies and Cream, Mocha Brownie, Apple Pie and Chocolate Chip Cookie Dough flavors. Each bar has 20-21 grams of protein, 15-16 grams of fiber, contain no artificial sweeteners and are low-sugar. When you shop Walmart for Pure Protein Plus Bars, be sure to use Ibotta to earn $1.50 back. For more Pure Protein Plus Bars inspiration, visit this website. Make sure to enter the sweepstakes below too for a chance to win prizes to help #KeepOnTrack! Biking is something new for our family. We just got an amazing bike trailer and have been using it several times per week. This past weekend, we went on a long family bike ride on the lake and Troy and I impressed ourselves with being able to bike 8 miles. We talked about making it a new family weekend morning tradition to go on a long bike ride. We are lucky that in the city that we live in, we have some awesome parks. We love to go there and have a picnic, walk the boardwalk, go on the playground, etc. It is a fun thing to do in the evenings after work and Adalyn loves it as well. We live in the city that I grew up in and growing up, I never appreciated these parks like I do now. Many summer activities involve physical activity. Some great ones are dancing at a concert, playing Frisbee or soccer with friends, gardening, playing bocce ball, etc. Find something that you love to do and it will not feel like exercise because you are having so much fun doing what you are doing. 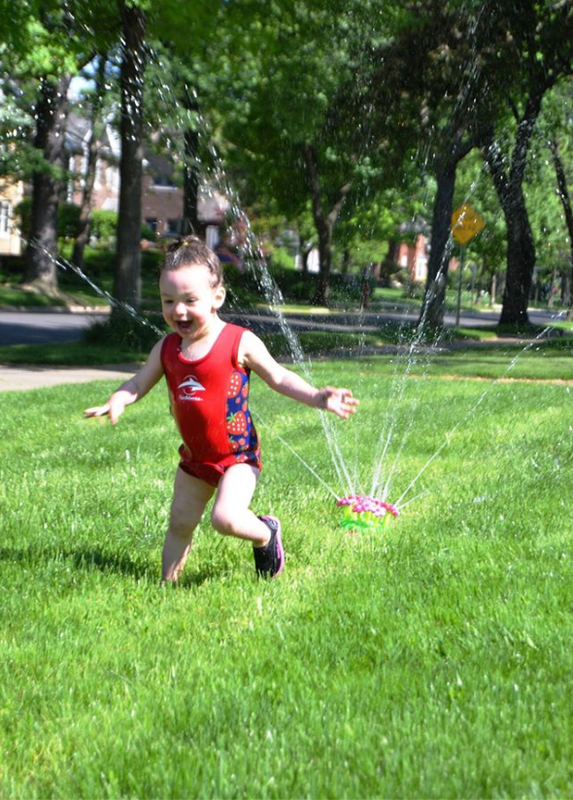 The first hot day this summer, we pulled out this awesome sprinkler that my mother-in-law got Adalyn which sprays water in all different directions. As you can tell from the pictures, she loved it. I had fun running around with her and having fun. We had such a blast that it was hard to tell we were even getting exercise. Enjoy your summer and stay active! Get your Pure Protein Plus bars at Walmart!